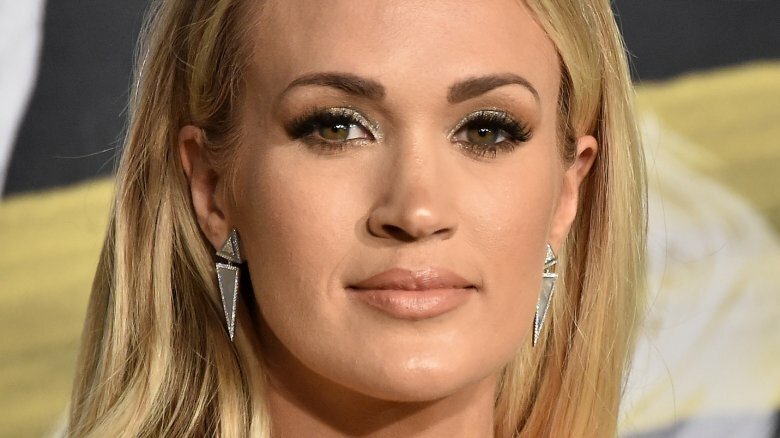 Country music star Carrie Underwood recently took a trip to the hospital. During her Thursday, Sept. 13, 2018, appearance on The Tonight Show Starring Jimmy Fallon, the "Love Wins" singer opened up about the mysterious illness that had forced her to cancel her performances at the Long Road Festival and BBC Radio 2 Live in Hyde Park in England earlier this month. "I don't cancel shows. Like, I will drag myself onto the stage and perform if I have the flu or whatever," Underwood told host Jimmy Fallon just ahead of the Friday, Sept. 14 release of her new album, Cry Pretty. "In the U.K. we had to cancel a couple shows." Explaining that she woke up one day with "a viral thing," the American Idol alum said, "I had vertigo and I could not stand up. And it was crazy. I ended up in a German hospital for three days." Of her hospital stay, Underwood added, "They were so sweet and so nice. And we were like in our rooms trying to learn German and trying to communicate." However, she admitted, "I didn't learn anything." We're glad to see that Underwood, who's expecting her second child with husband Mike Fisher, is feeling better these days! Her recent hospitalization comes following a year that's been full of its fair share of ups and downs. As Nicki Swift previously reported, the "Before He Cheats" hitmaker was seriously injured in a nasty fall on the steps of her home in Nashville, Tenn. in November 2017. After undergoing surgery on her broken wrist and receiving 40 to 50 stitches in her face, the 35-year-old singer faced a long recovery. "In the beginning, I didn't know how things were going to end up," Underwood said on the Today show in May 2018. "It just wasn't pretty." After months of lying low and healing, Underwood made her triumphant musical comeback at the 2018 ACM Awards. Thankfully, she's since been back to hitting her stride, as she gears up to co-host the 2018 CMAs with Brad Paisley for the 11th time this November.